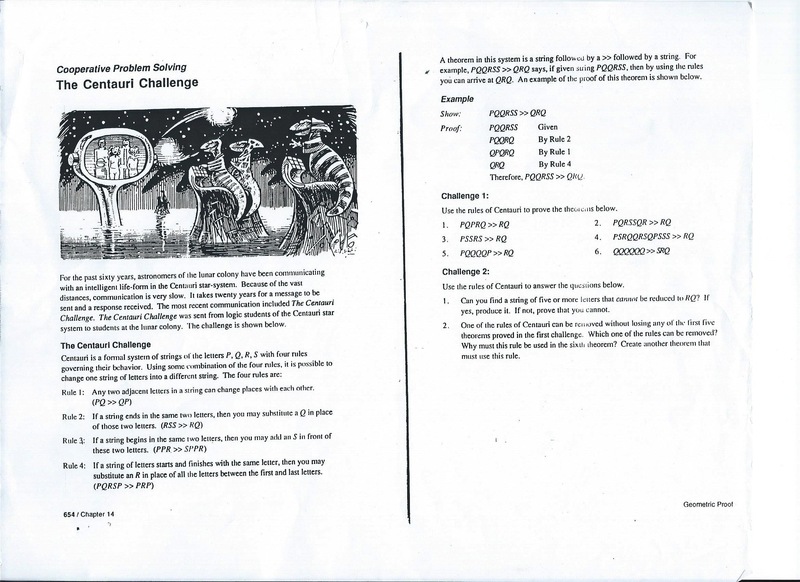 I’m posting this because my students enjoy it and I can’t find it anywhere online. I got it from a colleague a few years ago. I have no idea where it originally came from. It’s is a great intro to logic and proofs. 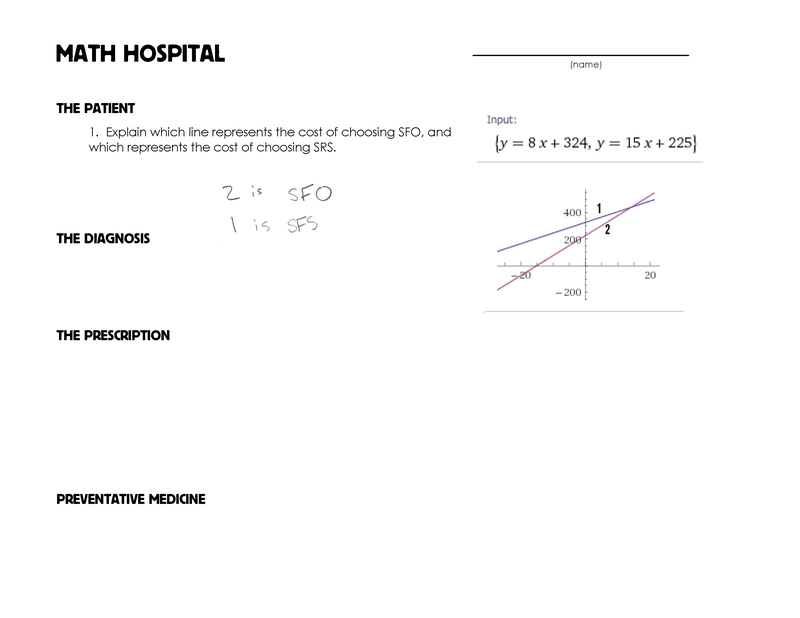 Ok this is the last post on Math Hospital – if you haven’t seen the earlier versions they are here and here. I just keep going a little bit further with the concept of the hospital. The first thing we do is have everyone compliment the patient, because as we all know that is the first step for any doctor. Give the patient a few compliments before you tell them how sick they are. I don’t make them write down their compliments. After that I go through the same steps as always, where The Diagnosis is where we decide what is wrong, The Prescription is where we decide how to fix the mistake, and Preventative Medicine is where we figure out how to keep this mistake from happening again. As we begin putting a larger emphasis on literacy in math, we need to consider how we are going to go about having students critique each others work. This is just one way of doing it.